Following up its recent Tractor Leather Sandals in black, Rick Owens has returned with a fresh offering off its Tractor Dunk Boot-converted Spring/Summer 2019 footwear in a grey, “340 Dust” suede-based iteration. The newly debuted seasonal model features a transparent clear-sole paired with deeply-embedded treads – making it a footwear staple that’s just as chunky as it is stylish. 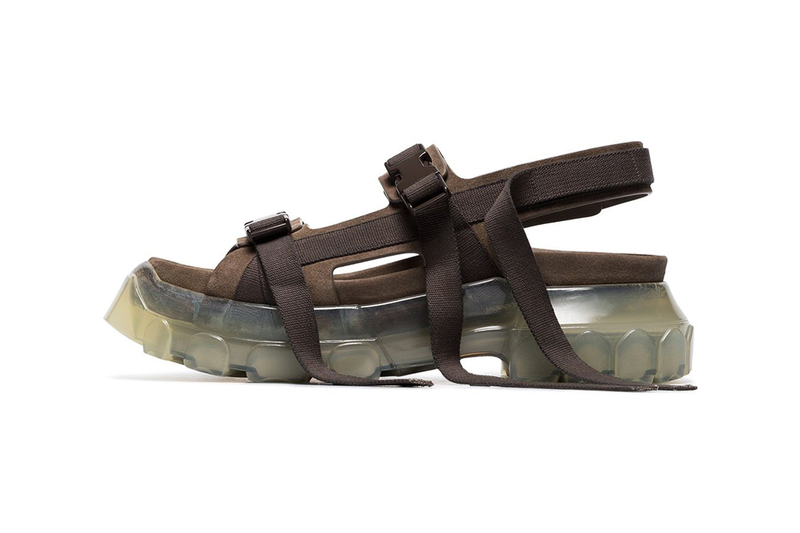 Maintaining Rick Owens signature style, the sandals are doused with a variety of overly-long straps that are further fixed via plastic buckles and Velcro fastening. This is all met with the model’s suede footbed, giving the open-toed footwear an extra luxurious feel. For those interested in picking up a pair for themselves, you can head over to FARFETCH’s web store where they are retailing for $1,413 USD. For more footwear news, ALYX just released a Python-leather effect iteration of its Hiking Sneaker. Following up January’s “Locationships” video.